Hello! I really miss you all!! We are coming into the home stretch now, moving in three weeks! Cannot wait to be settled and back to regular posts. In fact, I'll be able to devote even more time to blogging because my little ones will be starting full day Kindergarten in Sept. YAY! Today I'm showing you the beautiful KBShimmer 6yr Anniversary Trio, available now! But snap it up if you want it, these are Limited Edition. Also super excited to share my first of four manicures showing off KBShimmer's new Nail Vinyls! 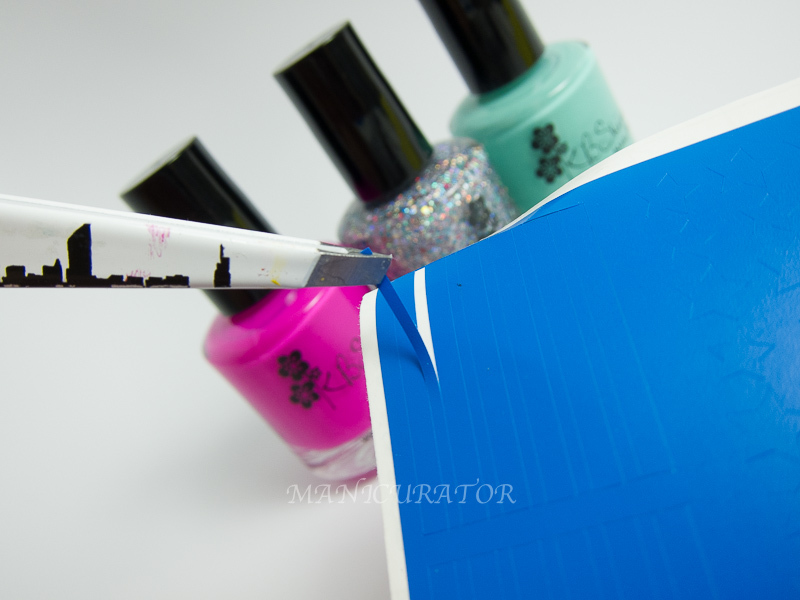 Each Nail Vinyl post will include a tutorial with details how I accomplished it. Beach Please: A bright, near neon pink cream with purple leanings. Beach Please is perfect for long summer days on the water. Covers best in 2-3 coats. Hexy Bikini: The latest addition to the KBShimmer textured polish line, Hexy Bikini combines holo glitters in silver, teal, and pink and reflects beautifully under the light of the sun. It’s perfect in two coats. Add a topcoat for even more sparkle. Shore Thing: Escape to tropical waters with this bright aqua-mint cream with blue-green undertones. Covers best in 2-3 coats. Shore Thing is so beachy, you’ll feel like you’re in a tropics no matter where you are. I don't know who created nail vinyls first..but I would really like to bake them a cake. Such a brilliant idea! I used to cut these shapes with craft scissors and craft punches in regular or electrical tape, and there was always a high chance of error. Not with these!! Always perfect. So I always use my fave Tweezerman tweezers to lift and place the vinyls. I began this manicure with a coat of KBShimmer Basic Training Base Coat and two coats of Beach Please on ring finger and thumb. A perfectly bright blue based pink with excellent formula and coverage. Once my base coat was dry I placed the straight Nail Vinyls and made sure they were pressed on well to the edges. As you can see, I filled in the sections with Beach Please and Shore Thing, two coats for each other, which applied effortlessly. Lift the Vinyls one at a time, as soon as possible. If you let your polish dry, it gets that sticky stringy quality and it's all too easy to mess up your clean lines. After clean up and top coat with KBShimmer Clearly On Top. I actually really liked this mani at this stage. Simple? For sure. But you know I love simple, and the colors give it a signature look! 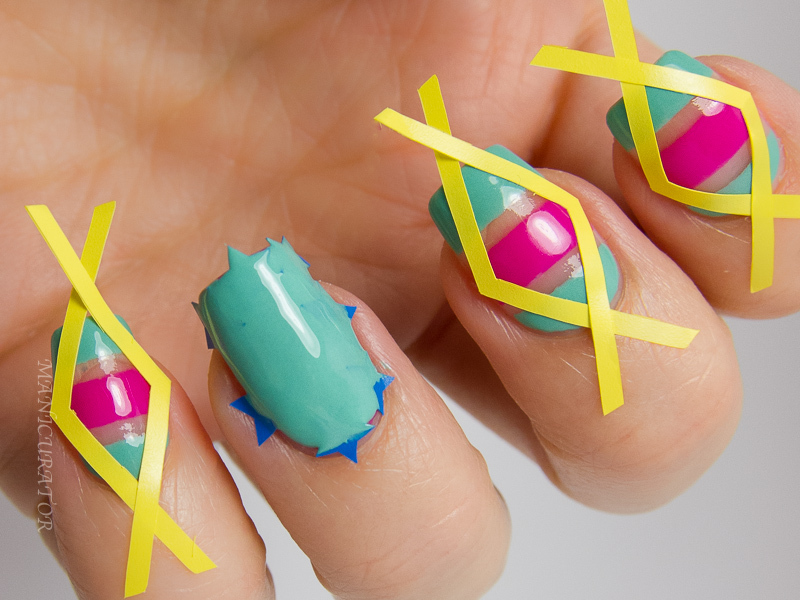 Aren't these just awesome Summer shades? 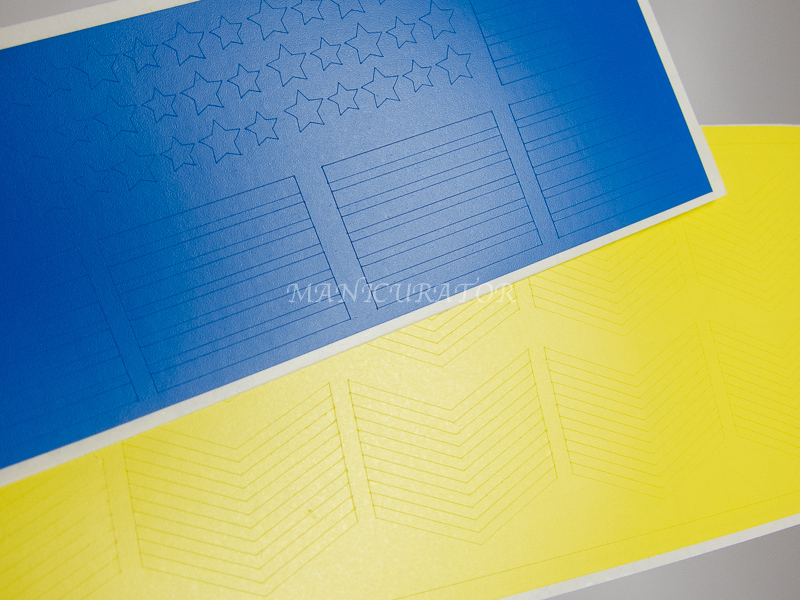 OK, now I wanted to step it up and add Vinyls from a second sheet, and the third shade from this trio! After placing my Vinyls and making sure they were adhering well, I added Hexy Bikini to the star design on the thumb. Glad I did that one first because I wasn't in love with how it looked. For the second star design on ring finger I used Shore Thing. Here you can see I'm adding Hexy Bikini. Two easy coats, with a slight dabbing instead of straight up sweeping motion with the brush. Add top coat only to ring finger and Viola! What do you think? 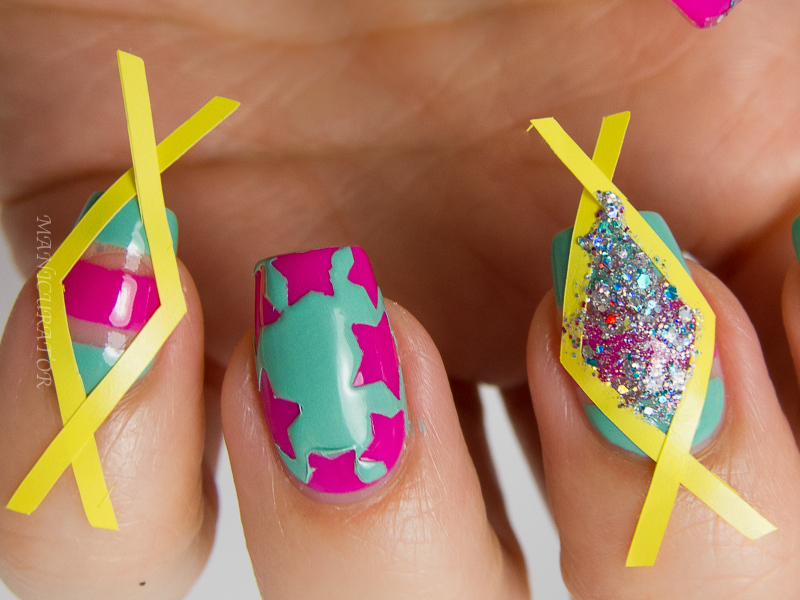 Are you feeling this mani? Will you be helping KBShimmer celebrate their anniversary with this trio? The Limited Edition Beach Trio launches on August 1st. Creams retail for $7.50 each, the textured polish for $8.75 and will be available at www.HarlowandCo.org and www.KBShimmer.com. For a limited time, this trio will be available for $21, only at www.kbshimmer.com. very creative and awesome! love it! Such a fun trio for their anniversary! I love the two cremes and that sparkly texture is just stunning!